Why would I need self storage in Gresham, OR? There are a variety of reasons why you might need self-storage in Gresham, OR. How much is a storage unit in Gresham, OR? The cheapest storage unit in Gresham, OR is $56.00 per month. What size storage units do you have available in Gresham, OR? In Gresham, OR we have sizes that range from 5'x5' to 10'x30' to suit your storage needs. How much is it for a 5'x5' storage unit in Gresham, OR? The cheapest 5'x5' storage unit in Gresham, OR is $60.00 per month. Gresham is a large Oregon city just east of Portland near the Columbia River. 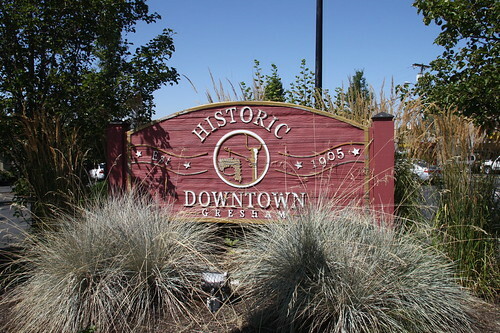 Significant growth in the late 20th century made Gresham one of the largest cities in the state, and its population has continued to increase in recent years. The lure of free land from the Donation Land Claim Act of 1850 is what drew many early settlers to the area that would eventually become Gresham. Before 1884, the town was known by a few names, including Camp Ground and Powell's Valley, for one of the first families that settled in the area. Gresham got its first post office in 1884 thanks to a petition submitted by local business owner Benjamin Rollins. Although another petition had been made for a post office named Camp Ground, as locals called the area, Postmaster General Gresham was swayed by the suggestion to name the community after him and established the Gresham Post Office on May 15, 1884. In 1904, Gresham elected its first city council and mayor, and the state granted Gresham permission to incorporate on Feb.11, 1905. Gresham is a scenic, family-oriented community that offers a variety of amenities, especially recreational facilities. More than 1,100 acres of parkland are spread across the city and feature expansive green spaces shaded by mature trees. Children's playgrounds, sports fields and picnic shelters are offered at many of the parks. The Children's Fountain, where children can play on one of two large splash pads, is a popular spot during the summer months. Another summer activity provided by the Gresham parks and recreation department is the Summer Kids in the Park program, which is a free weekday event that includes structured play for young children throughout the city. If you're interested in gardening, you can obtain a plot at one of the city's several community gardens. The Gresham-Barlow School District manages the public schools in the area. In addition to the traditional elementary, middle and high schools in Gresham, the district has five charter schools – ACE Academy, Arthur Academy, the Center for Advanced Learning, Lewis & Clark Montessori School and Metro East Web Academy. Utilities: The city-provides water and sewer services. PGE and NW Natural are the city's primary energy providers. Garbage and Recycling: You can enter your home address on the city website to find your specific collection schedule. Transportation: Public transportation options in Gresham include TriMet and Amtrak. Although homes in Gresham are more affordable than those in neighboring Portland, prices are still higher than the national average. However, a wide range of properties makes it easier to find something that works for both your budget and your needs. There are also many rental properties to choose from, ranging from large apartment communities to single-family homes. Our lowest priced units in Gresham, OR average $68.80 per month. 242 people have reserved units in Gresham, OR in the past 30 days. There are 5 locations within Gresham, OR's city limits. There is 1 location in Gresham, OR that offers AC and Heating features.